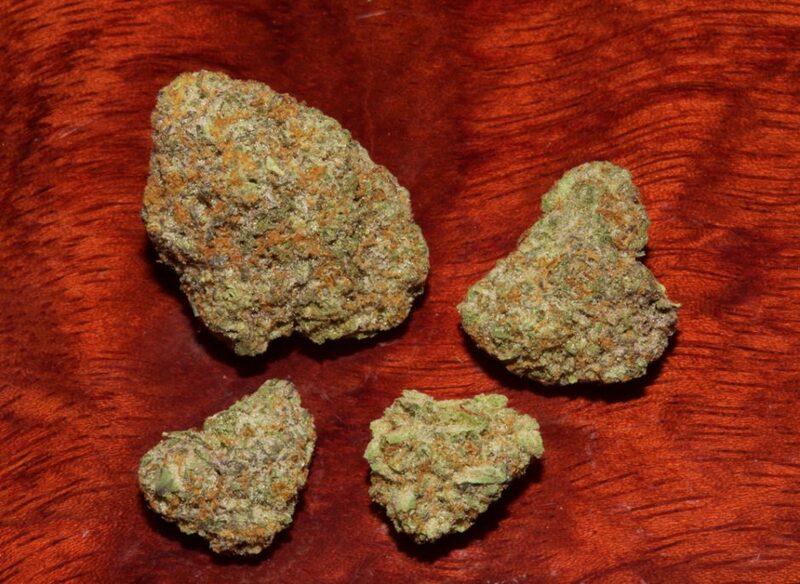 Check out the full Gelato strain review below. The tightly-manicured nugs are caked in trichomes that left my fingers sticky and greasy when breaking buds apart. 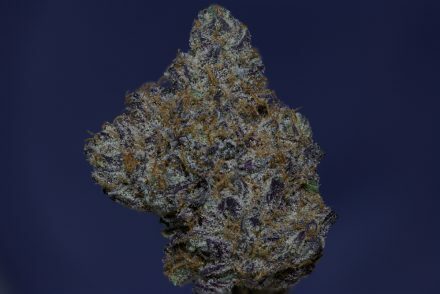 Gelato showcases hues of deep purple and green with fiery orange stigmas sprouting across the nugs – she’s a real looker. Sweet, gassy and oh-so-delicious. 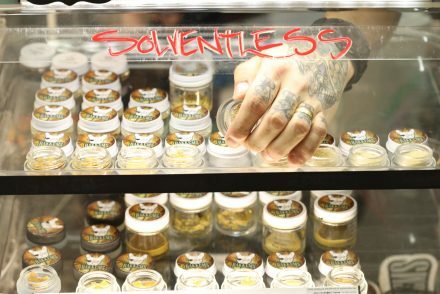 A deep whiff of Gelato draws me into the jar with doughy sweetness, then knocks me back with a pungent wave of kushy, cheesy, gasoline funk. Grinding up this bud will get you super excited for however you decide to smoke it. The thick, creamy smoke coats my mouth with sweet flavors of pie crust and almonds, mixed with a sharp gassy funk. 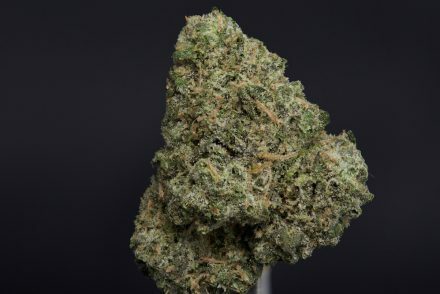 This is a seriously tasty strain. My only nitpick is that this batch could have been flushed just a little better – the ashes were a bit dark for my preference and my tongue had a slight tingle after smoking.